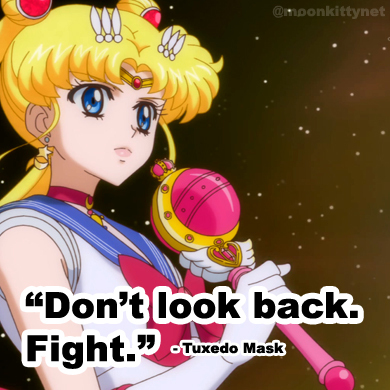 In Brief: I've always loved this first official attack of Sailor Venus. Not only does the animation sequence in the anime look incredible but it's the equivalent of a laser blast attack which also ranks as one of (if not the) most powerful attack out of the Inner's first generation of attacks. 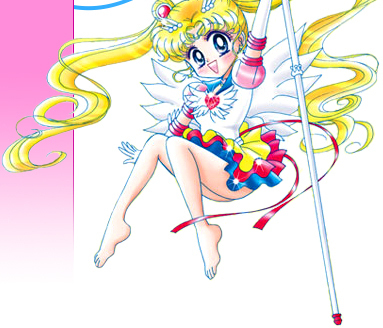 The Move: In the anime, Sailor Venus summons a dual crescent moon symbol to appear in the air above her. The double symbols glow and are surrounded by a light cloud of bubbles. Sailor Venus reaches up and pops the symbols and bubbles with her index finger as the camera pans down and away while Sailor Venus draws in massive light energy to her finger tips. Very quickly she yells out the attack and a laser beam of pure light and energy blasts towards her target.